Emmeline Lake and her best friend Bunty are doing their part for the war effort and trying to stay hopeful despite the German planes that make nightly raids. Emmy dreams of becoming a Lady War Correspondent and when she spots a job advertisement in the newspaper she seizes her chance. Instead, she finds herself typing letters for Henrietta Bird, a renowned advice columnist of a magazine. 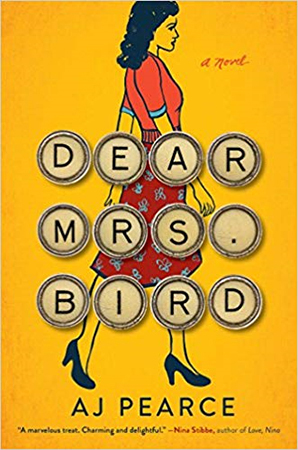 Mrs. Bird has one rule: letters that have any unpleasantness are to go in the trash. But as Emmy reads the desperate pleas from different women, she begins to secretly write back to the readers who have spilled out their troubles. Check this book out from the Popular Reading Collection!